Which Credit Cards Offer Global Entry Fee Credits? 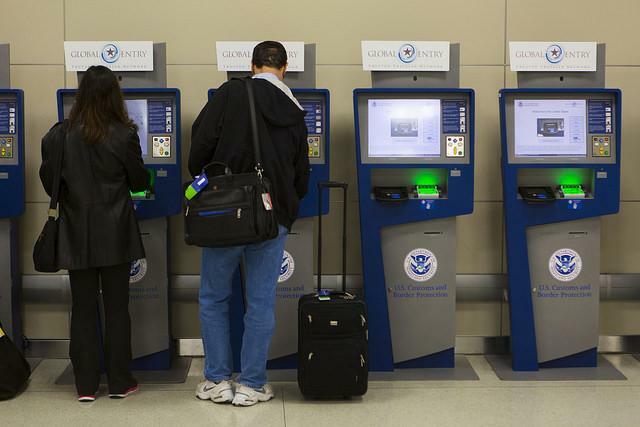 Global Entry gets you expedited immigration, whereby you can use a kiosk upon arrival and don’t have to talk to an immigration officer; then there’s also a special customs lane for those with Global Entry. This has allowed me to consistently clear customs & immigration in a matter of minutes. TSA Pre-Check gets you access to special security lanes at airports, whereby you don’t have to take off your shoes, and can leave your laptop and liquids in your bags. Really it’s the way that security should be for everyone, but I guess it works out in my advantage that not everyone has access to it. You can pay to register for either program individually, though in general your best bet is registering for Global Entry, as it also comes with TSA Pre-Check (TSA Pre-Check, on the other hand doesn’t come with Global Entry). I registered for Global Entry for the first time in mid-2011, and wrote about my experience at the time. Global Entry is valid for five years, meaning my current membership is valid through mid-2016. Over the past few years several credit cards have added a Global Entry fee waiver as a benefit. It’s a nice perk, given that presumably many “premium” credit card members would benefit from it. In all cases, the Global Entry fee credit can actually be used for someone else, though I haven’t had the need to take advantage of it. I recently discovered that my special-someone doesn’t have Global Entry, so I figured I might as well get him signed up. After all, it’s not just useful when traveling internationally, but is also useful when traveling domestically, for TSA Pre-Check. 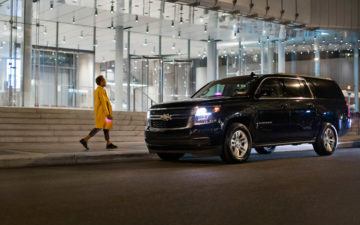 The major distinction to note is that American Express applies this benefit both to the primary card member, as well as additional card members. That means if you have The Business Platinum® Card from American Express with three additional card members, you can potentially get four Global Entry fee credits. Meanwhile for Citi, only the primary card member is eligible for the perk. 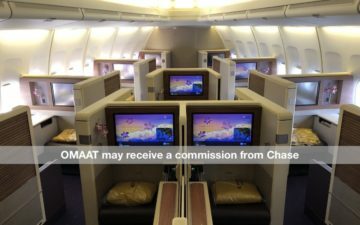 I ended up using the Global Entry benefit on the Citi Prestige® Card, and the $100 statement credit posted less than two weeks after the $100 fee was charged to the card. Impressive! While a Global Entry statement credit in and of itself isn’t a reason to pick up one of these “premium” credit cards, it’s a further nice benefit to factor in, especially given all the other benefits offered by some of these cards. I’d say I’ve utilized the perks of the card quite nicely at this point! Have you used a Global Entry fee credit from a credit card? If so, which one? Should You Redeem Points For A Hotel Stay? I think BarclayAviator Silver ($195) also will provide a $100 statement credit for global entry. Barclay AAviator Silver does as well. Do any of the cards that reimburse the Global Entry fee reimburse the Nexus fee? You would think that they would – the fee is lower – but it seems that most if not all cards exclude Nexus from the benefit. I’ve used the Plat AMEX for the credit, credit posted inside a week of use. AmEx paid for my GE. For some dumb reason, the first time I had a platinum card I didn’t bother, but the second time I told myself to stop being stupid. But the GE reimbursement as a perk makes no sense to me. It’s pretty much a one-time deal, er once every five years deal. I will admit to disliking bloggers who tout a new card with a stiff annual fee and claim, “but because of the GE fee reimbursement, you can knock $100 off of the first year’s fee!” Except for the fact that many of us who want GE already have it, so a card offering that perk is unlikely to have to come through with it. I have GE and love it but now it seems that if you are a US citizen no matter if you have GE or not you always go to a kiosk and you no longer have any interaction with an immigration officer. Thus, other than adding the benefit of TSA Pre, does GE still add any value when you get to a US airport flying from overseas if you are a US citizen? @Dan: If you get the car only for the Global Entry benefit it does not make sense. However, I have the Amex Platinum and all the benefits I use from that card pay for the $450 annual fee. Thus, having GE or not I would still have that card. The addition of GE reimbursement only made it more attractive for me. @Santastico: And don’t forget that there are two steps, passport control and customs. Last time I arrived from abroad, the passport control line was pretty fast (although it began to back up after I got through), but for some reason the customs line was atrociously long. Global Entry-ers could bypass both lines. question for AMEX Platinum, Citi Prestige, Citi Executive and Barclays Aviator silver. Do you get Global entry into the States if you are a permanent resident and not a citizen? if your passport isnt good for 5 more years, will the Global Entry expire with the passport? thanks. Do any offer NEXUS membership in place of Global Entry? The ones that I’ve seen explicitly do not, although it is half the price ($50). Ritz Carlton Rewards by Chase also gives the Global Entry fee credit. Wells Fargo’s By Invitation Visa Sig card also reimburses for 2 Global Entry fees / renewals every 5 years. @Santastico: Depends where you enter… at FLL, GE lanes are still much faster. Also, GE allows you to use the Nexus/Sentri lanes to re-enter the US from Canada & Mexico, respectively. This can easily save you up to 90 minutes or more at certain land crossings. @BevB: Permanent residents can definitely get GE. @LK: GE is good for 5 years. If your passport changes during that time you simply drop by a GE office when in transit and have them update their systems. Usually takes 5 minutes. @Jason: Haven’t seen any offers for NEXUS yet. Maybe some of the Canadian cards do. Give a friend Global Entry for free!!! I already had Global Entry (which I love), so a friend of mine applied and we paid the $100 fee with my Citi Prestige card. Citi tells me I will receive the $100 credit so my friend gets Global Entry for free (other than the hassle of the interview, etc.). Just checking the Citi Prestige Card benefits today it seems the Global Entry fee credit is no longer offerred, at least I can’t find it mentioned anywhere.